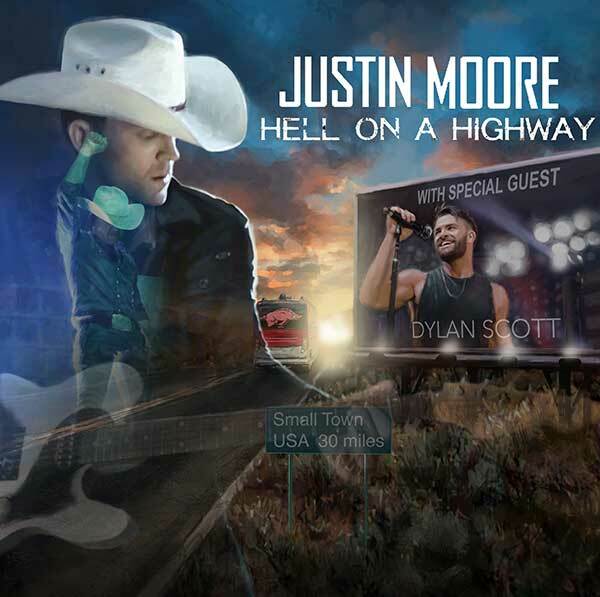 JUSTIN MOORE ANNOUNCES "HELL ON A HIGHWAY TOUR"
Nashville, Tenn. – Justin Moore announces today that he will launch his “Hell on a Highway Tour” on October 13 in Monroe, Louisiana. The PLATINUM-selling entertainer will hit over 40 cities across the US with Dylan Scott opening for Moore. 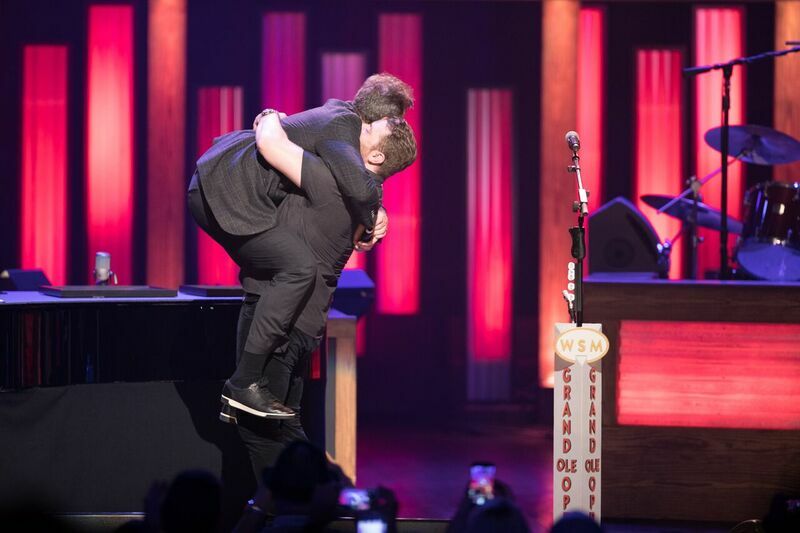 NASHVILLE, Tenn. - (August 29, 2017) – Grammy nominated vocalist Chris Young was surprised during his Grand Ole Opry performance this evening by Country Music Hall of Fame and Opry member Vince Gill with an invitation to become an official Opry member. The invite came just prior to Young’s performance of their chart-topping duet “Sober Saturday Night.” Growing up in nearby Murfreesboro, Tennessee, Young dreamt of one day taking the stage at the Opry, making his debut on June 15, 2006. Another dream came true for the 32-year-old singer with tonight’s Opry invitation. Young’s formal induction will take place Tuesday, October 17, just days before the release of his 7th album, Losing Sleep. Redwood City, California | August 27, 2017 — Today, country music star Chris Young has launched a GoFundMe to provide direct support to the victims of Hurricane Harvey. While Young is a native of Tennessee, his Texas roots run deep – not only does he have family and close friends in the path of the hurricane, Chris lived in Arlington before signing with RCA Records, has toured extensively throughout the state and owns a home in the direct eye of the storm. Nashville, TN -- Breakthrough star Kane Brown has announced the release of a deluxe version of his self-titled debut album on RCA Nashville/Zone 4 on October 6. Brown also revealed the cover (above) and expanded track listing with four new songs (below). Fans may pre-order a physical copy of the deluxe album HERE. When Brown's self-titled first album released December 2, it became and remains country’s best-selling new artist debut of the past two and one-half years. With 51,000 total consumption units, Kane Brown entered at #1 on the Billboard’s Top Country Albums chart and Top 10 on the Billboard 200. The 23-year-old singer/songwriter's impressive first week showing was 2016's #4 all-genre best new artist debut, preceded only by Zayn, Jordan Smith and Charlie Puth. 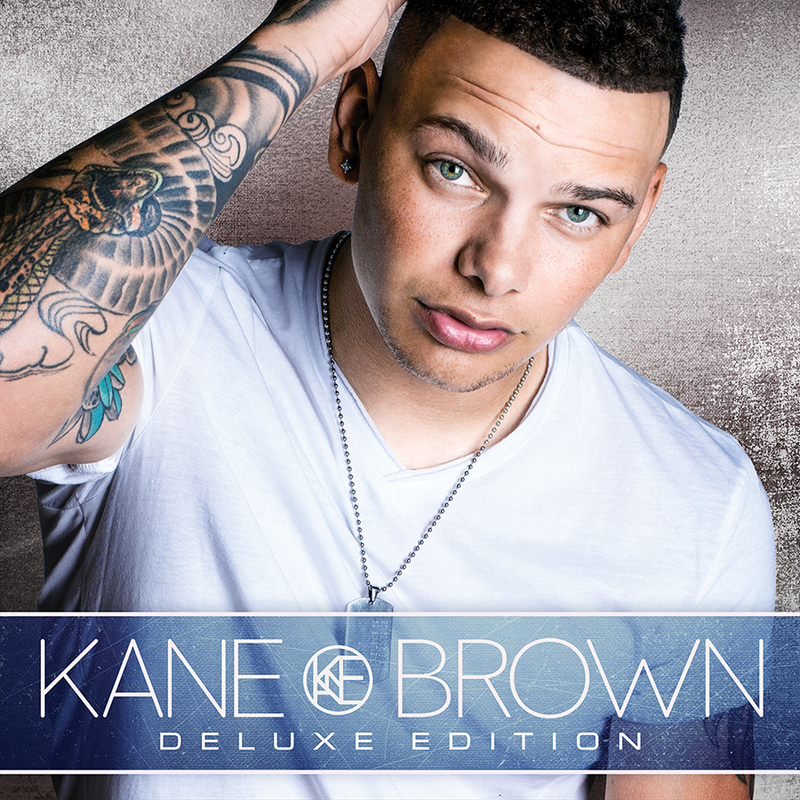 Kane Brown, currently Top 10 on the Top Country Albums chart, was produced by 9-time ACM Award-winning producer Dann Huff and Matt McVaney and includes his Gold-certified Top 15-and-rising hit “What Ifs” featuring Lauren Alaina. With over 69 million audio streams and over 17 million VEVO/YouTube views to date, “What Ifs” is currently #2 on both the Country On-Demand Audio Streams and Digital Country Songs charts. With a robust, devoted fan base of over 3.5 million social subscribers, the RCA Records/Zone 4 recording artist has garnered over 320 million on-demand streams and over 100 million YouTube and Vevo views. In the past year, Kane Brown has been nominated for an ACM Award for “Top New Male Artist” and a CMT Music Award for “Breakthrough Video” for “Used To Love You Sober,” the track of which was certified Gold by the RIAA and included on his Chapter 1 EP. Currently on tour with Jason Aldean, the Georgia and Tennessee native sold out 92 headline shows of his own with over 141,000 tickets purchased. NBC’s “Today” and “Late Night with Seth Meyers,” the nationally-syndicated “Ellen” and “Entertainment Tonight,” and CBS’ “Academy of Country Music Awards” are among his most-recent TV appearances; and, his key press coverage includes features in the New York Times, Washington Post, USA Today, Billboard, People, US Weekly, Seventeen, Cosmo, HITS and Rolling Stone. NASHVILLE, TN (August 23, 2017) – CARLY PEARCE returned to SiriusXM The Highway in Nashville yesterday (8/22) to share big news with host Storme Warren – her highly-anticipated debut album. 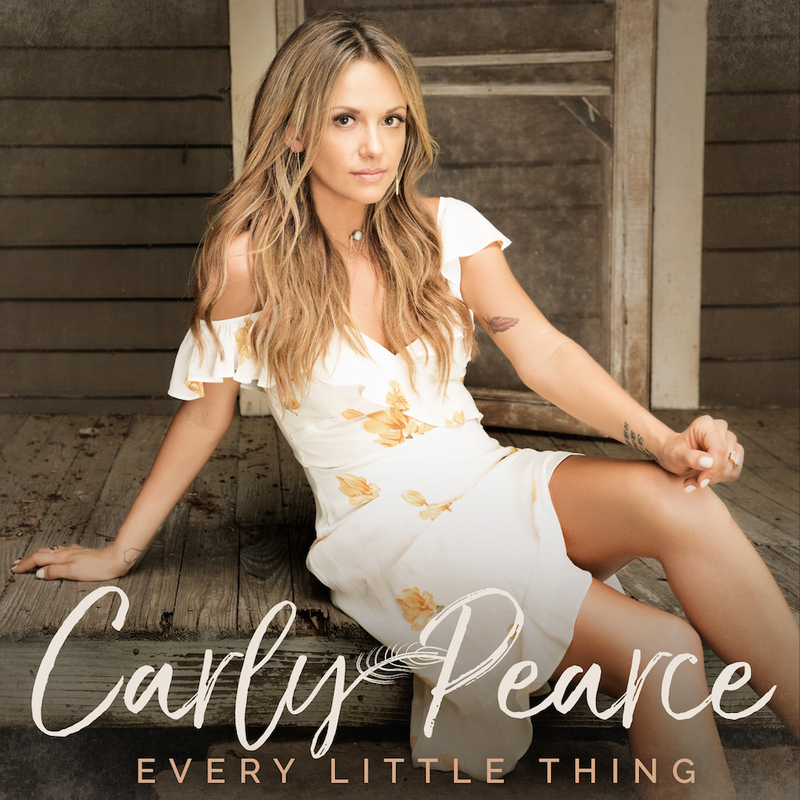 EVERY LITTLE THING, out October 13 on Big Machine Records, offers insight into her songwriting muses from the feisty “Careless” and evocative “Dare Ya” to the breakthrough title track. From the first spin of “Every Little Thing,” SiriusXM has been a strong advocate marking the song a “Highway Find” before it topped the chart for three weeks, earned her “Future Five for 2017” status and prompted “If My Name Was Whiskey” to be added into rotation as “Every Little Thing” continues to rise at terrestrial radio. Carly is currently the only solo female charging into the Top 15 on the Country radio airplay charts with her soul-bearing title track and was chosen as an esteemed all-genre iHeart ON THE VERGE artist earlier this year, in addition to being the first artist tapped for Cox Media’s Plugged In program. Nashville, TN -- RCA Records Nashville country rockers Old Dominion and Singer Sewing Machines have joined forces to launch SEW DOMINION a special web portal dedicated to the release of Old Dominion’s new album, Happy Endings, which is available tomorrow. Foxboro, MA: Taking 2017 off from his relentless summer touring schedule, Kenny Chesney knew he couldn’t skip Boston. Having become a tradition at Gillette Stadium, the home of the new England Patriots, the 8-time Entertainer of the Year agreed to play two summer-ending stadium shows in the place where No Shoes Nation was named. And what shows they were! Nashville, TN – August 24, 2017 – At only 32 years old, country music star CHRIS YOUNG has already had an enviable and prolific career, giving fans six studio albums in 11 years. Fresh off the success of I’m Comin’ Over, which earned Young a #1 debut, 3 chart-topping singles and numerous industry accolades including ACM, BBMA, CMA, CMT, Grammy and RDMA nominations, the RCA Records Nashville recording artist revealed in a live Facebook video yesterday that he is preparing to release his seventh studio album, Losing Sleep, on October 20, 2017. NASHVILLE, Tenn. -- When Kenny Chesney pulled out some tapes to listen to his last 10 years of shows, he was immediately struck by the fervor of No Shoes Nation. And the more he listened, the more he wanted to share all these moments with the people who inspire him – and took the songs to a whole other level out on the road. NASHVILLE, Tenn. – (August 14, 2017) – Country music superstar Blake Shelton took it straight to the fans today when he announced his brand new Blake Shelton (Live) EP on social media, noting, “My favorite thing in the world is playing for y’all.” The project captures audio from Shelton’s pop-up show during CMA Music Festival in Nashville this summer and will be available to stream on Aug. 25. The six-song EP features some of his fan-favorite chart-topping hits, including “Honey Bee,” “Boys ‘Round Here” and, from his most recent album If I’m Honest, “A Guy With A Girl” (full track listing below). Nashville, Tenn. (August 14, 2017) – For the first time in their record-breaking career, MULTI-PLATINUM superstar duo Florida Georgia Line headlined a trifecta of SOLD-OUT stadium shows this summer, culminating with a pinnacle performance at Chicago’s historic Wrigley Field Saturday night (8/12). Nashville, Tenn. (August 9, 2017) – Broken Bow Records star DUSTIN LYNCH revealed the details of his hotly-anticipated third album, announcing the project’s title and release date via livestream during a homecoming party at the historic George Dickel Distillery in Tullahoma, TN today (8/9). Short Pump, V.A. - It took a week’s planning and two days of shooting, but Jessica Martinez with her co-director Will Renner conjured a video that reflected the random nature of meeting that special someone during college break for Kenny Chesney’s “All The Pretty Girls” music video contest. The pair of Belmont University students created a clip that was marked both by innocence and what felt like authenticity of that kind of summer love for the winning entry. LAS VEGAS, NV./NASHVILLE, TENN. – When George Strait walks the 60-steps from the gauntlet to the center stage at T-Mobile Arena in Las Vegas on September 1 and 2, he will do so knowing countless fans of his 6x Platinum-selling Pure Country will be in the crowd as they celebrate its silver anniversary alongside the King of Country. In honor of the anniversary, the Pure Country soundtrack will appear for the first time on vinyl with a limited-edition pressing made available in conjunction with September shows (released-wide 25 years to-the-day since it initially hit shelves, Sept. 15). Strait will pay special tribute to the film’s impact on his music for a not-to-be missed set of shows. Nashville, Tenn -- When the sound of the generators finally fell silent in his head, Kenny Chesney dug into his mountains of tapes and started listening. To the songs, to the band, but especially to No Shoes Nation, well over one million strong. And the more he listened, the more he realized his music – and the people it has attracted over the last decade – have indeed created a nation without borders or boundaries; in that moment he knew he wanted those people to know they were heard.